Exercise therapy involves the prescription of muscular contraction and bodily movement ultimately to improve the overall function of the individual and to help meet the demands of daily living.Exercise therapy is a regular component in the management of various (chronic) disorders, such as musculoskeletal, neurological, cardiovascular,respiratory disorders and mental health disorders.Research has shown that a regular exercise programme can slow down or prevent functional decline associated with ageing. The benefits for people who regularly participate in endurance, balance and resistance training programmes are well established. Such health benefits include improved muscle mass, arterial compliance, energy metabolism, cardiovascular fitness, muscle strength, overall functional capacity and the maintenance or even enhancement of cognitive function. Physical exercise is increasingly being advocated as a means to maintain and enhance good mental health. 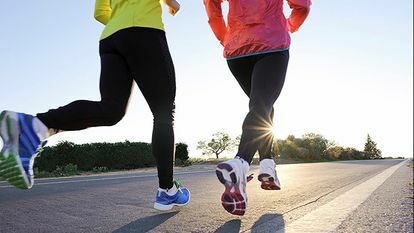 In general, findings from research indicate that exercise is associated with improvements in mental health including mood state and self-esteem, although a causal link has not been established. Research on acute exercise indicates that 20 to 40 minutes of aerobic activity results in improvements in state anxiety and mood that persist for several hours. These transitory changes in mood occur in both individuals with normal or elevated levels of anxiety, but appear to be limited to aerobic forms of exercise. In the case of long term exercise programmes, improvements in the mental health of ‘normal’ individuals are either modest in magnitude or do not occur, whereas the changes for those with elevated anxiety or depression are more pronounced. 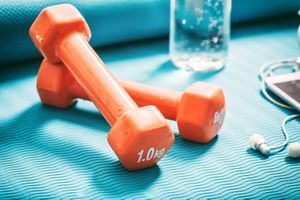 Evidence from studies involving clinical samples indicates that the psychological benefits associated with exercise are comparable to gains found with standard forms of psychotherapy. Hence, for healthy individuals the principal psychological benefit of exercise may be that of prevention, whereas in those suffering from mild to moderate emotional illness exercise may function as a means of treatment.Exercise has also been found to alleviate symptoms such as low self-esteem and social withdrawal.3 Exercise is especially important in patients with schizophrenia since these patients are already vulnerable to obesity and also because of the additional risk of weight gain associated with antipsychotic treatment, especially with the atypical antipsychotics. Patients suffering from schizophrenia who participated in a 3-month physical conditioning program showed improvements in weight control and reported increased fitness levels, exercise tolerance, reduced blood pressure levels, increased perceived energy levels, and increased upper body and hand grip strength levels.5 Thirty minutes of exercise of moderate intensity, such as brisk walking for 3 days a week, is sufficient for these health benefits. Moreover, these 30 minutes need not to be continuous; three 10-minute walks are believed to be as equally useful as one 30-minute walk. Other hypotheses that have been proposed to explain the beneficial effects of physical activity on mental health include distraction, self-efficacy, and social interaction.4 While structured group programs can be effective for individuals with serious mental illness, lifestyle changes that focus on the accumulation and increase of moderate-intensity activity throughout the day may be the most appropriate for most patients.1 Interestingly, adherence to physical activity interventions in psychiatric patients appears to be comparable to that in the general population. ↑ Smidt, N., de Vet, H. C., Bouter, L. M., & Dekker, J. (2005). Effectiveness of exercise therapy: a best-evidence summary of systematic reviews. Australian Journal of Physiotherapy, 51(2), 71-85. ↑ Penedo, F. J., & Dahn, J. R. (2005). Exercise and well-being: a review of mental and physical health benefits associated with physical activity. Current opinion in psychiatry, 18(2), 189-193. ↑ Angevaren, M., Aufdemkampe, G., Verhaar, H. J., Aleman, A., & Vanhees, L. (2008). Physical activity and enhanced fitness to improve cognitive function in older people without known cognitive impairment. Cochrane Database Syst Rev, 3(3), 1-73. ↑ Raglin, J. S. (1990). Exercise and mental health. Sports Medicine, 9(6), 323-329. ↑ 5.0 5.1 Sharma, A., Madaan, V., & Petty, F. D. (2006). Exercise for mental health. Primary care companion to the Journal of clinical psychiatry, 8(2), 106-106.